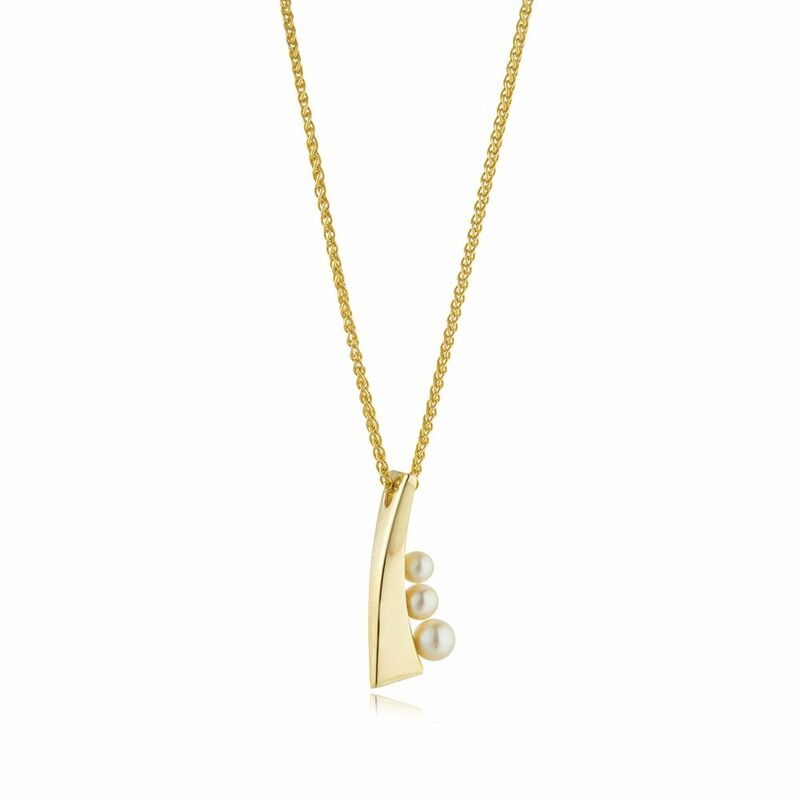 Let us introduce to you to the smaller of the two Balance pendants! 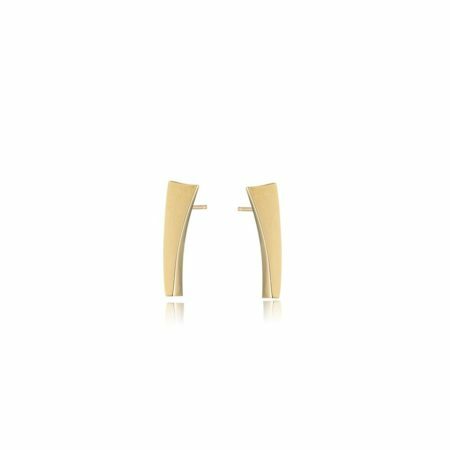 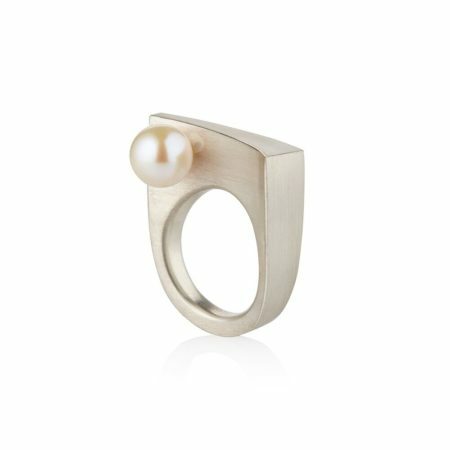 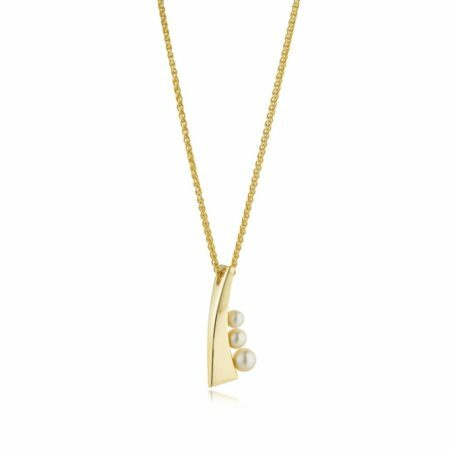 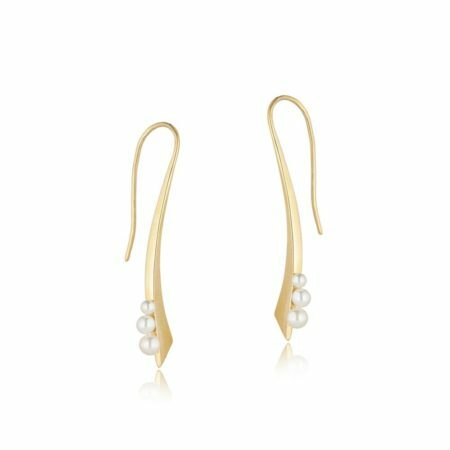 The sculpted 9ct gold curve gently hugs three freshwater pearls. 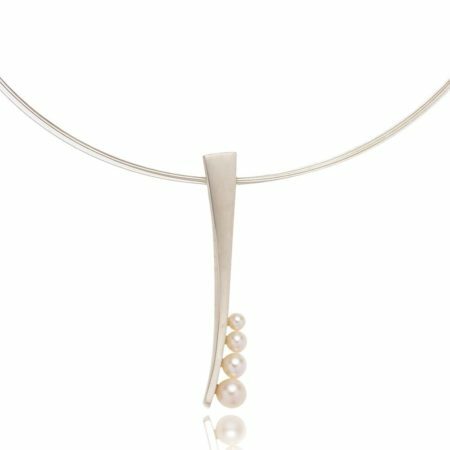 Measuring approximately 2cm in length, this piece embraces contrasting materials, finishes and colours bringing an air of beautiful calm to the building!